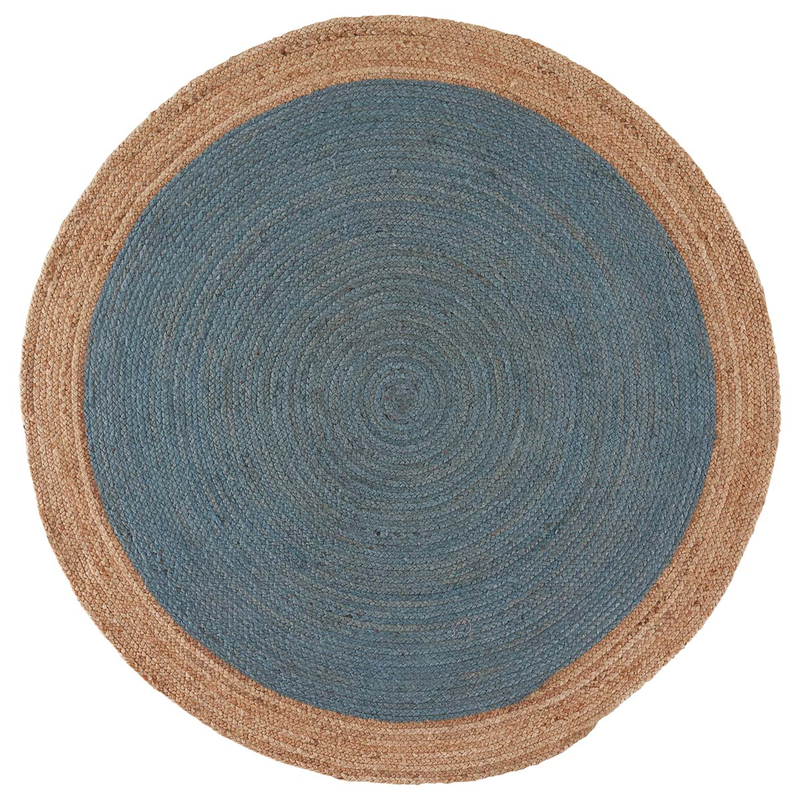 Showcase your natural style with the Blue Island Jute Rug - 8 Ft. Round. This nautical area rug is designed with textured, hand-spun and braided jute in a blue and natural geometric spiral design.